Paula Deen's southern cooking empire continued to unravel this week as the publisher for her forthcoming cookbook canceled its publication. Advance sales for "Paula Deen's New Testament: 250 Favorite Recipes All Lightened Up" sent it skyrocketing to the top of Amazon.com's best-seller list this week, though it wasn't scheduled to be released until October. But on Friday afternoon, Ballantine Books, a Random House imprint, announced it had made the "difficult decision" to cancel the cookbook's publication. Refunds for those who pre-ordered the book will be handled by the various retailers, said Random House spokesman Stuart Applebaum. Earlier Friday, J.C. Penney (JCP) and Sears (SHLD) said they would stop selling her products. On Thursday, Home Depot (HD) and Target (TGT), which both sold Paula Deen-branded kitchen and cookware, decided to end their deals with Deen, prompting her to seek assistance from a crisis-management firm. Drugmaker Novo Nordisk (NONOF) suspended its relationship with her, and home shopping channel QVC said it had also "decided to take a pause" from selling Deen's products. "Paula won't be appearing on any upcoming broadcasts, and we will phase out her product assortment on our online sales channels over the next few months. We all think it's important, at this moment, for Paula to concentrate on responding to the allegations against her and on her path forward," said QVC president Mike George in a letter. George's letter went on to say that the company believes in second chances and this may not be a "forever decision" for QVC. 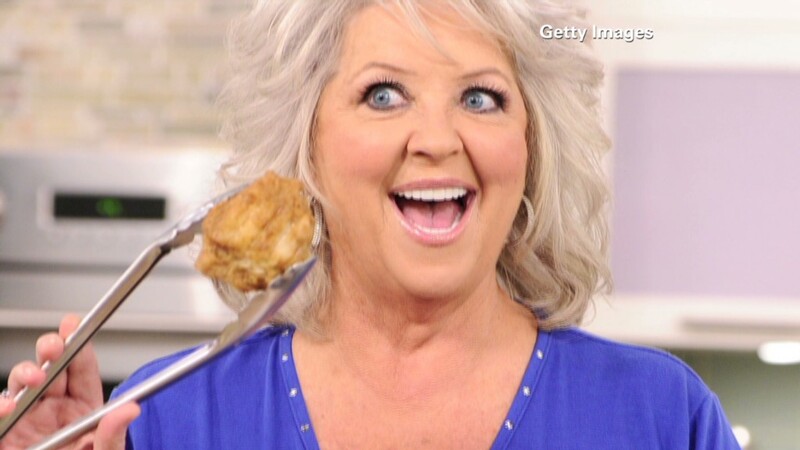 Deen, who is famous for her fondness of butter and other unhealthy foods, has been mired in controversy before. Last year, after months of rumors, she admitted to having been diagnosed with type 2 diabetes and said she would be the spokeswoman for Novo Nordisk's "Diabetes in a New Light" educational campaign. Novo Nordisk manufactures Victoza -- an injectable, non-insulin drug used in the treatment of type 2 diabetes. In an attempt to stop the hemorrhaging, Paula Deen hired Smith & Company, the crisis-management firm run by Judy Smith -- the inspiration for the hit ABC show Scandal -- according to a source familiar with the arrangement. Smith has served as a consultant for a host of high-profile clients including Monica Lewinski, Michael Vick and Wesley Snipes. Deen's latest troubles began almost two weeks ago when a deposition in a discrimination lawsuit was released in which she admitted using the n-word in the past. Dean has insisted she does not tolerate prejudice, but her apologies failed to suppress the controversy. Wal-Mart (WMT), which sold Paula Deen branded baked goods, cookware, dishware and kitchen appliances, and Caesars (CZR), which operated Paula Deen-themed restaurants at four of its casinos, cut Deen loose on Wednesday. Pork producer Smithfield Foods, with a line of Deen-branded hams, dropped her as a spokeswoman on Monday. Last week, the Food Network said it wouldn't renew Deen's contract when it expires at the end of the month. Editor's note: A previous version of this story said that Novo Nordisk had ended its relationship with Paula Deen. The company says it has suspended its relationship with the chef.